Results for - So That Ends The Debate ...Or Does It? 1. The "over versus under" toilet paper argument has been waged in bathrooms around everywhere since it was first invented. 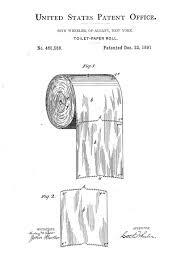 Now, thanks to a patent for perforated toilet paper from 1891, we officially have our answer. The inventor of perforated toilet paper Seth Wheeler illustrated his new and futuristic creation with the paper going up and over the roll. The Google Patents Database also displays a series of diagrams with the toilet paper going over as well. Do you prefer your toilet paper to go over (like a waterfall and like this illustration) or under (coming from the back of the roll)? 2. 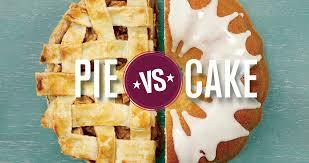 Another debate that has us divided is the "what came first, the chicken or the egg" question. Scientifically some almost-chicken creature produced an egg containing a bird whose genetic makeup, due to some small mutation, was fully chicken. 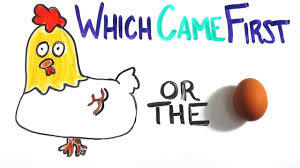 .So in a nutshell (or an eggshell, if you like), two birds that weren't really chickens created a chicken egg, and hence, we have an answer: The egg came first, and then it hatched a chicken What do you think came first, the chicken or the egg? 3. Have you ever had a discussion or debate about any of these "hot" topics?